Becoming the Preferred Supplier to the Building Trade in KZN and recommended by Most Engineers. 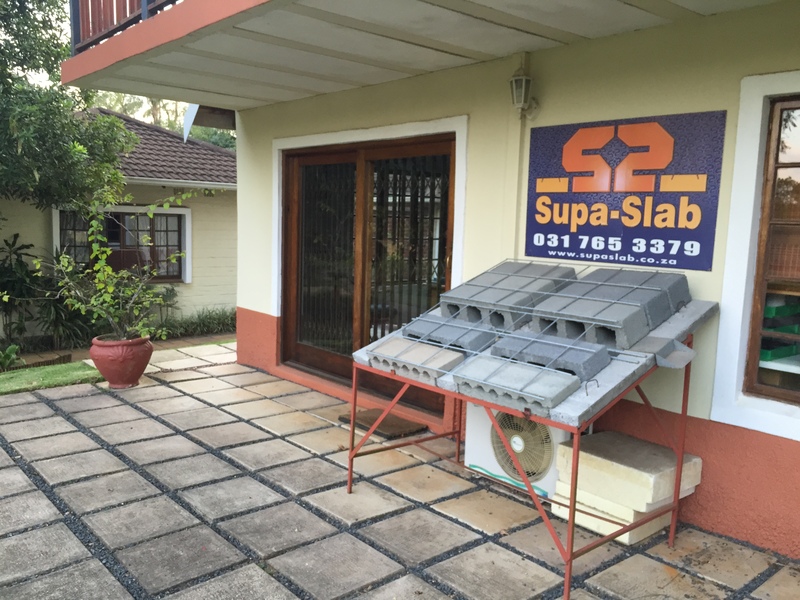 There are really 2 main slab systems we focus on here at SupaSlab which consist of various component sizes, to deliver a perfect tailored outcome based on your site specific requirements. Our team of experts will ensure that you will be dealt with in a professional manner and receive a professional service. You will be presented with options that we feel are best suited to your specific needs but the final decision is yours and will be respected. When dealing with SupaSlab, you are engaging with a company that values honesty and integrity in all their business dealings. We value constant communication during our entire process as this keeps you informed and often solves issues before they arise. We will be upfront and clear with you regarding what we can offer so as to avoid any confusion later on in the process. We have never and WILL NEVER cut corners to save on costs as our reputation is on the line with every project we undertake. SupaSlab was established in 2000 by its founder Alec Marot who had been experimenting and fine tuning the system for many years. He has since become a leading authority on the system and he is often consulted by leading engineers to problem solve difficult situations where his extensive experience provides expert solutions. In many other industries, the most knowledgeable and experienced pioneers often step back after establishing their businesses, these experts are not available to draw knowledge from. However Alec is still intricately involved in the business which is good news for SupaSlab clients, and he is constantly upskilling his staff who one day will continue to carry his legacy and take the batton on. Rib and block systems have the beams and blocks precast and delivered to site. The system uses less concrete and is quicker and cheaper than conventional slabs. The Team lead by Alec Marot have been chosen first and foremost for their integrity and character. They have all gone through extensive and we do mean EXTENSIVE training before being entrusted to handle the most complex situations. Ultimately the intention in this process has been that if you are dealing with any one of our Sales Consultants, they are equipped to be able to problem solve right there and then with you to figure out the most cost-effective and efficient way to proceed, so as to save you time and money. You can be assured they will treat you with a level of professionalism SupaSlab has become well known for. Our Business Hours are from 8:00am – 4:30pm Monday to Friday. Durban North to Northern Kwazulu-Natal Durban Central, Inland to Cato Ridge and South Coast. Pietermaritzburg and Kwazulu-Natal Inland.